Here is the new hat with the original version. 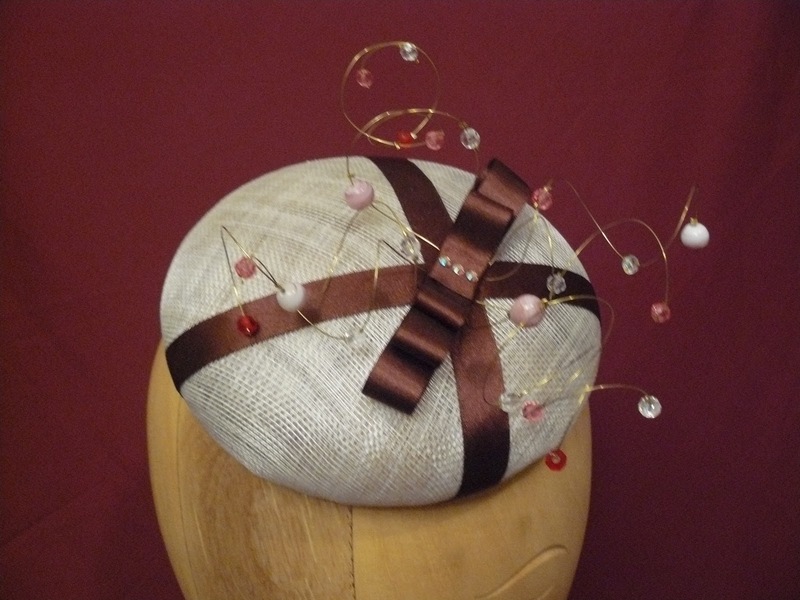 So if there any hats in previous posts that you would like in an alternative colour scheme then just let me know! 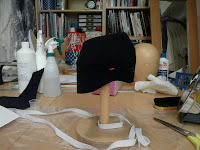 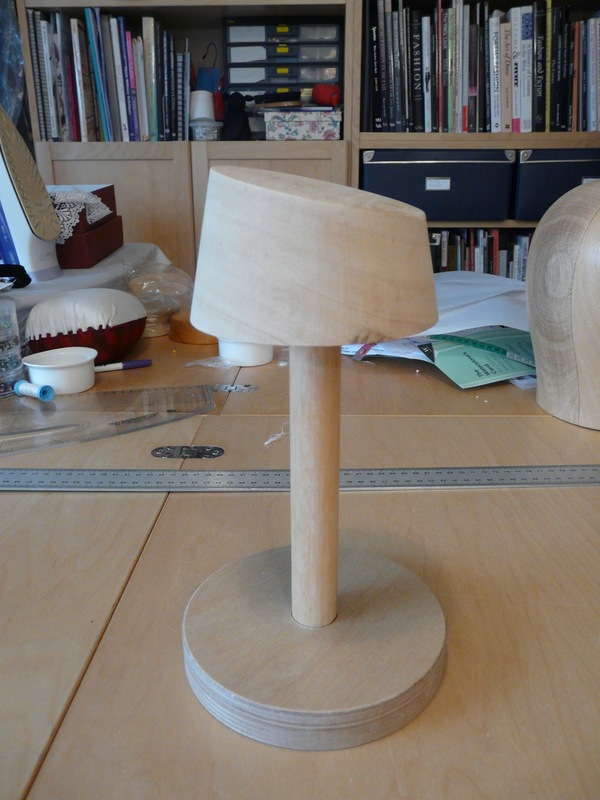 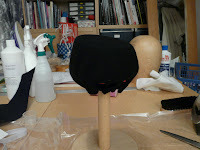 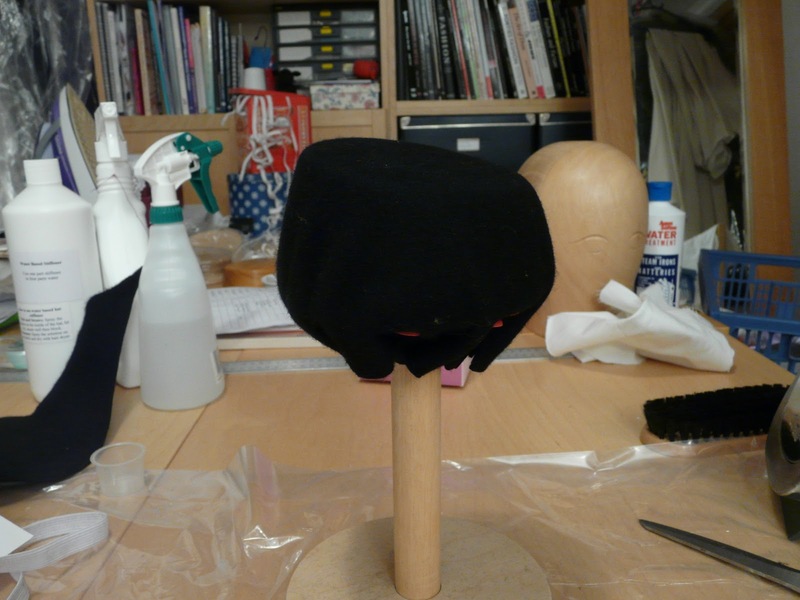 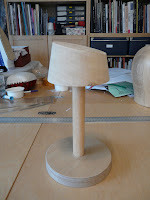 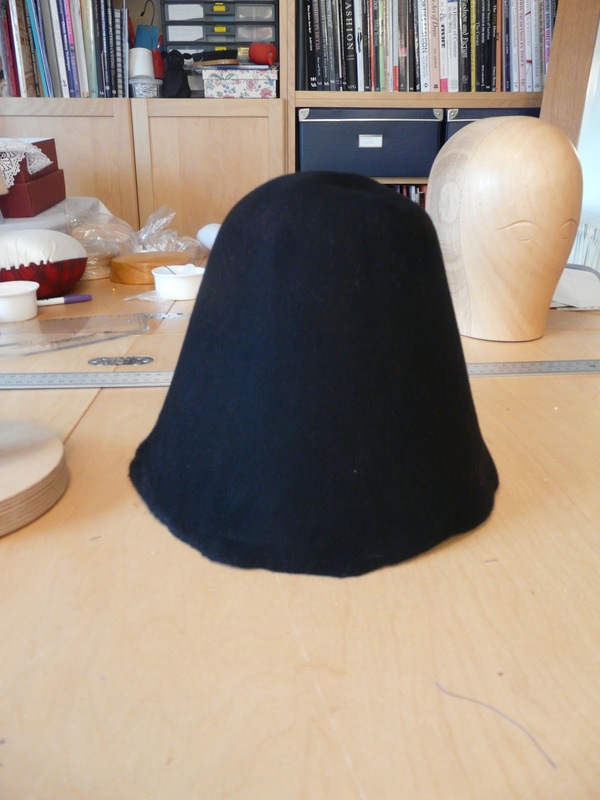 The felt removed from the block and the edge folded under, wired and sewn. 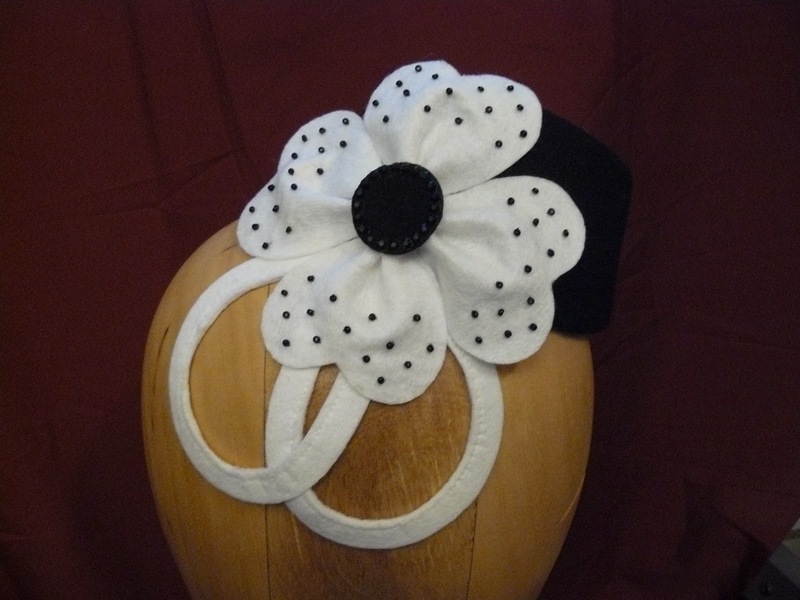 ﻿﻿﻿As the block is quite a 1940's shape I decided to decorate it with a felt flower, a popular decoration of the time. 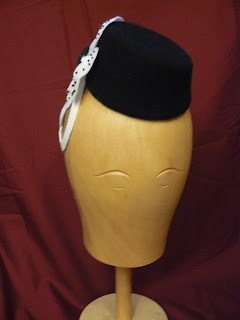 Hats were not rationed during WWII and they were often the only garment a woman could easily acquire as no coupons were needed or had to be saved. 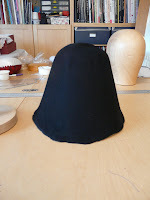 However, as the war continued materials became more scarce and new hats became harder to come by, so scraps of felt were an ideal way to revive an old hat. 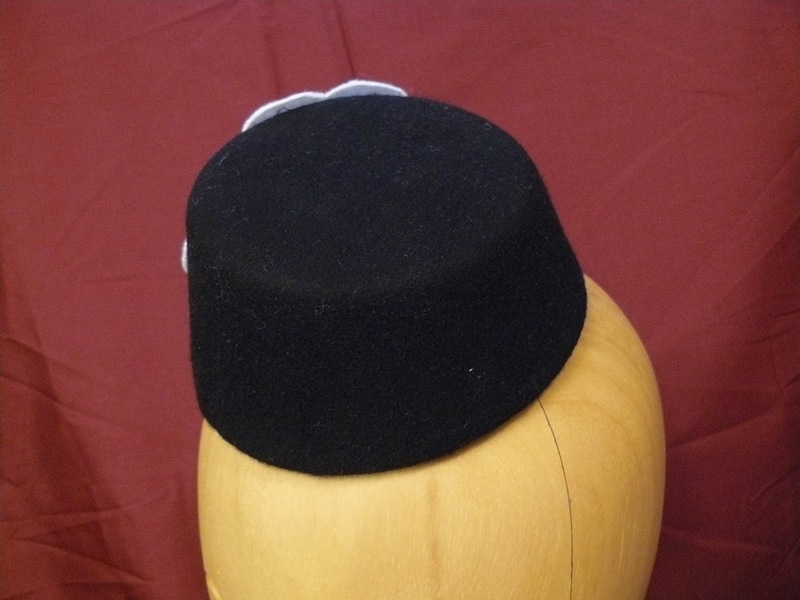 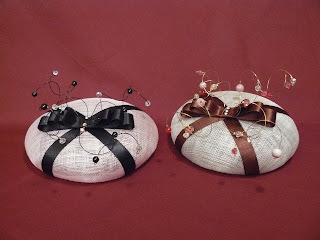 Miniature versions of mens hat styles were very fashionable and were worn perched on the head, tilted at a rakish angle. 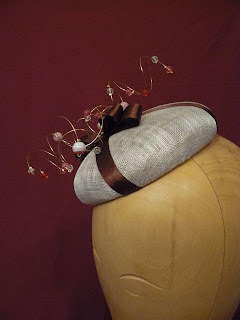 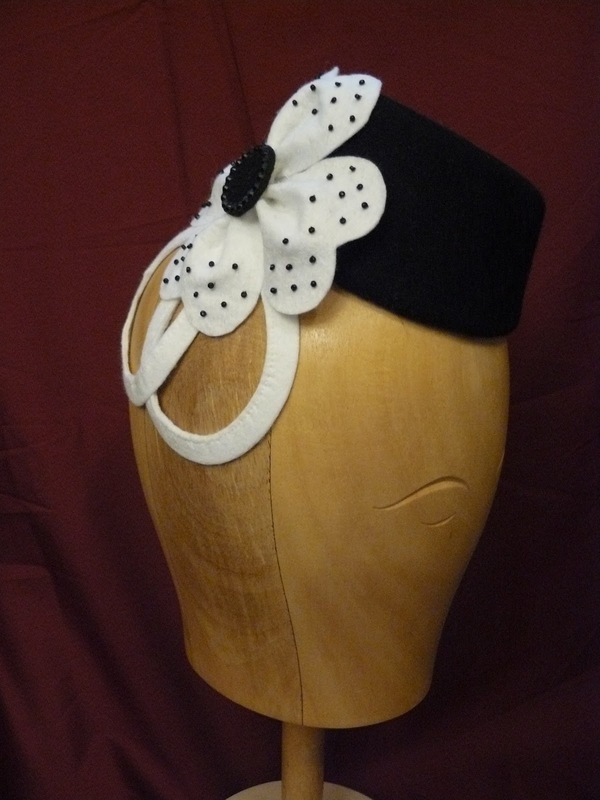 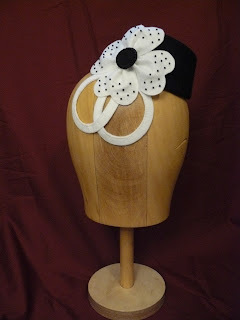 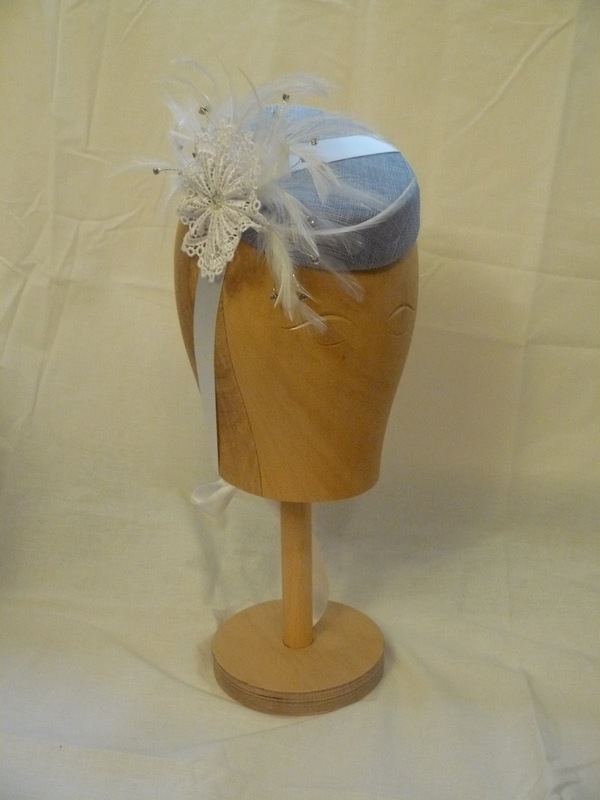 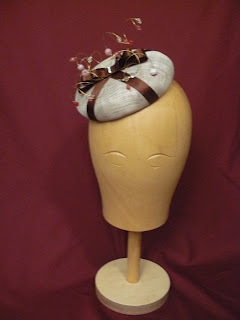 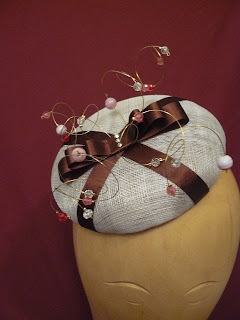 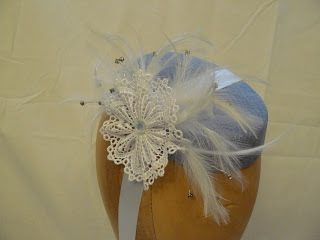 This is a very girly pillbox hat made from pale blue sinamay, that fastens at the back of the neck with a ribbon bow. 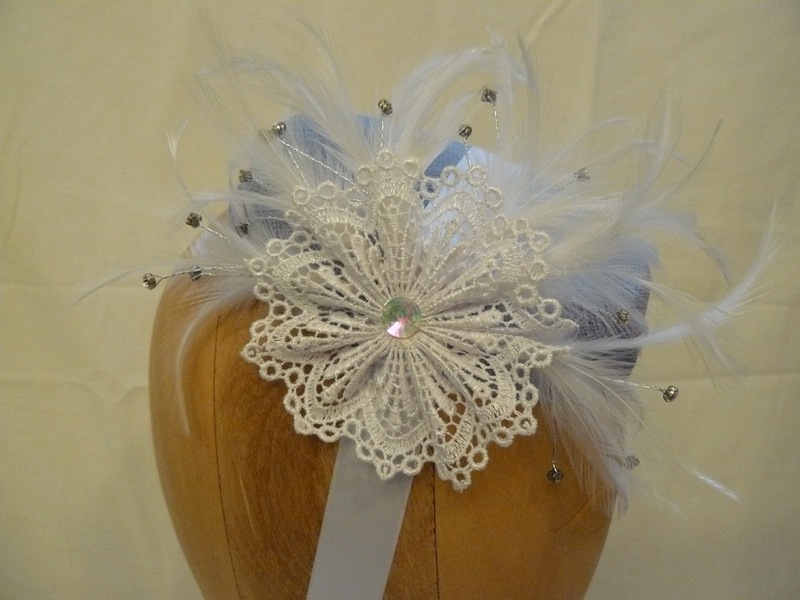 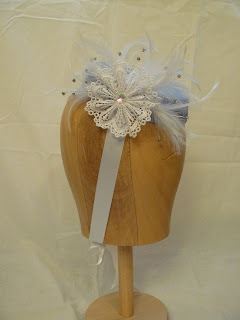 It's decorated with a lace rosette with a large swarovski stone in the middle and finished with white hackle feathers and more swarovski crystals on wires-you can never have too many shiny things!